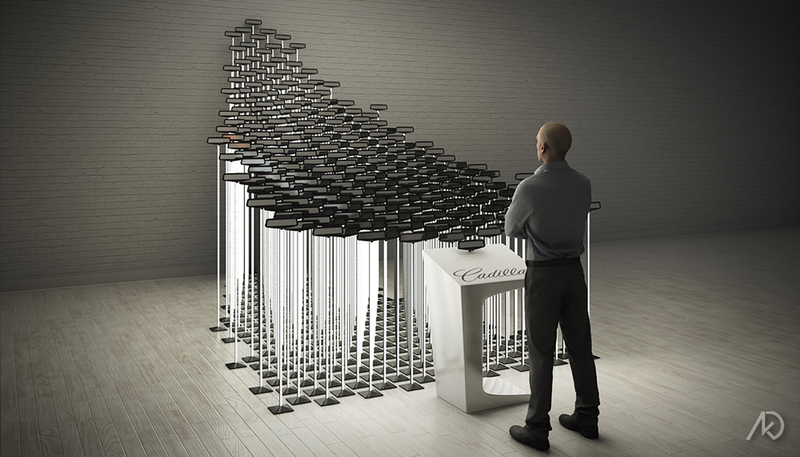 These 3d illustrations show a design concept for an experiential installation using Cadillac’s new rear view mirrors as an interactive sculptural exhibit. Initially three sketched concepts were given to me in order to design develop and visualize – all of which depicting a sculptural element using the mirrors. The images that are shown represent my favorite option, and a slightly more budget-friendly alternative. 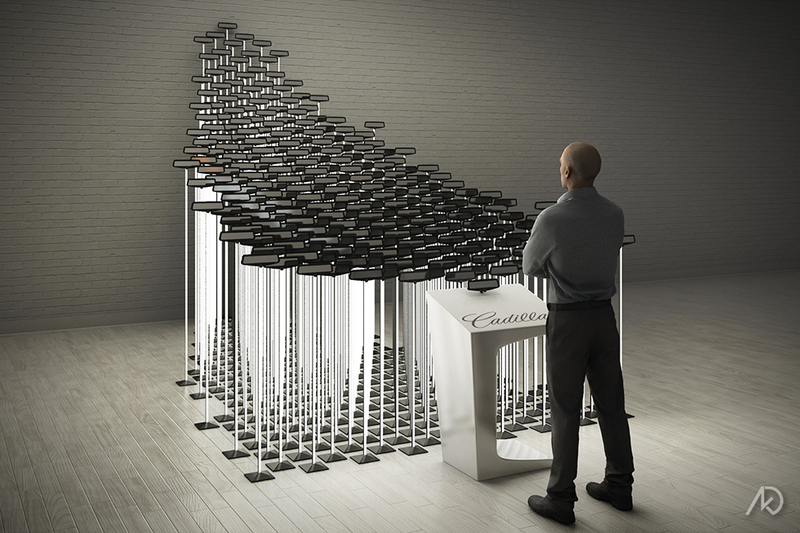 The main option (lower left) creates a concave sea of mirrors on pedestals containing an LED strip. 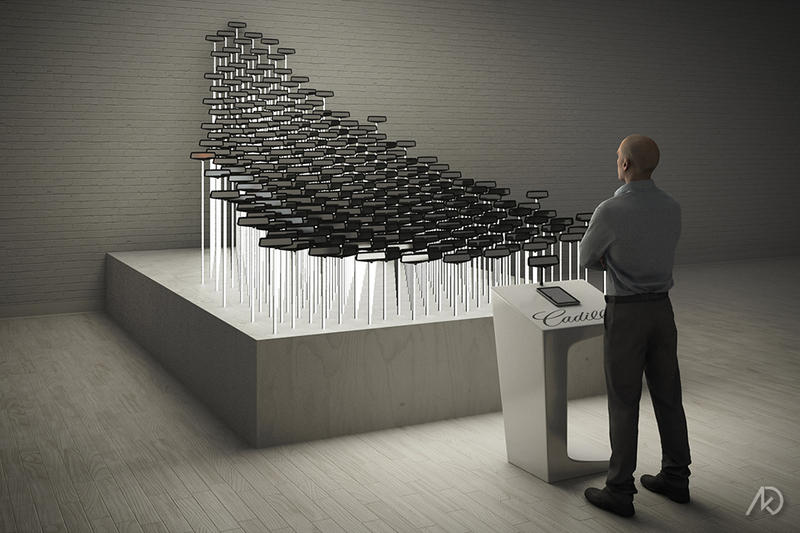 The mirrors will then play interactive media as one large collective screen. The value-engineered alternative simply places the mirror post on a large plinth in order to support the mirrors and supply them more easily with electricity.